In addition to the Saturday workshops at Camp Mariastella, the 2016 Wrightwood Literary Festival hosted a series of events in and around Wrightwood. Some events were free and open to the public, others were only available to paid festival registrants. Take a look back at what we did in 2016, below! Writing what you know has been some of the most important advice for many writers in order to capture the complexity of what they see. Never is that more true than with writing about one’s hometown. Our key-note speaker, Isabel Quintero, professor, novelist, poet, librarian, activist, and self-proclaimed IE (Inland Empire) representative, will discuss her experiences of writing what she knows and how to take any landscape and make it a multifarious portrait in your writing. Isabel Quintero is the author of Gabi, A Girl in Pieces (Cinco Puntos Press, 2014), winner of the 2015 Tomás Rivera Book Award, Works for Older Children; the 2015 Paterson Prize for Books for Young People, Grades 7-12; and the William C. Morris Award for YA Debut Novel. 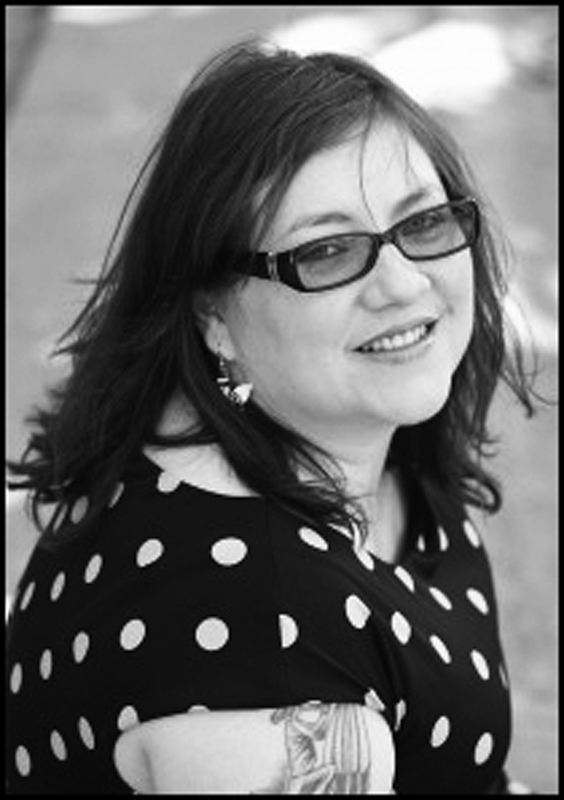 Her poetry has appeared in Asus Journal, Badlands, the Pacific Review, and elsewhere. For the first time this year, we’re bringing the lively spirit of slam poetry up into the mountains! Slam turns art into a competition, with poems olympic-style by volunteers from the audience. These are not your typical quiet poetry readings—the audience is encouraged to react, and the beer will be flowing as swiftly as the lines. 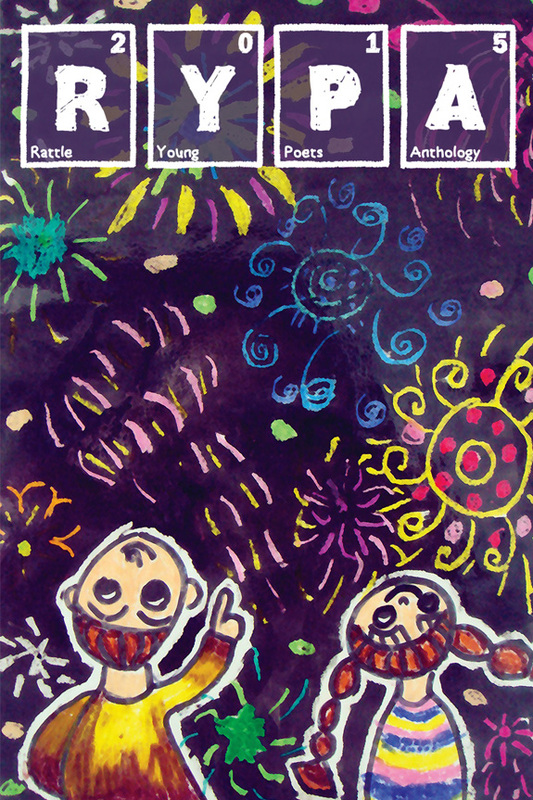 The rules will be traditional: original poems (or prose!) 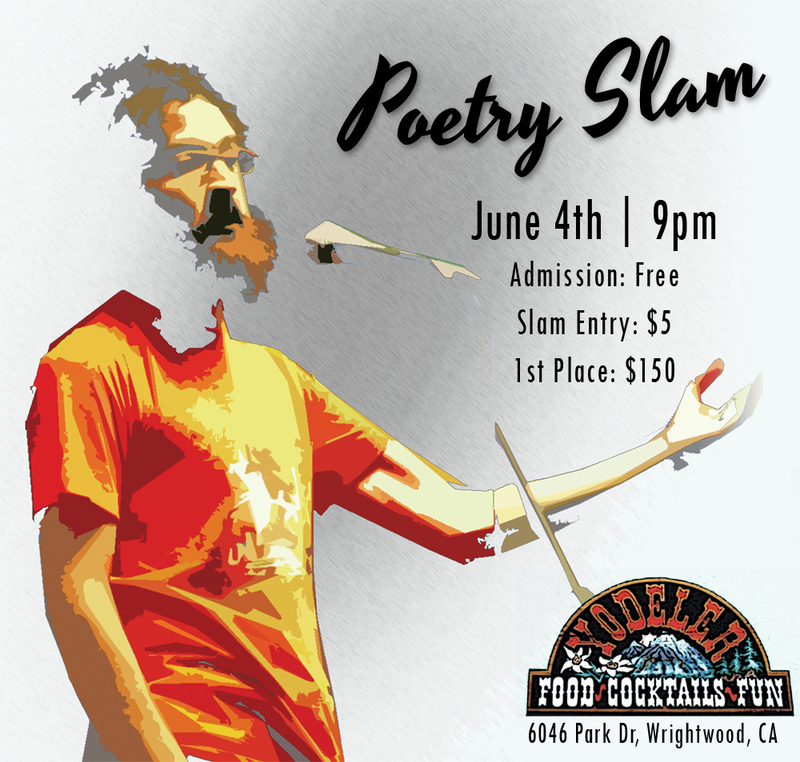 of any style, but no music, props, or costumes; a three minute time-limit per poem, with penalties for going over; and no repeating poems—there will be three rounds, so performers should have three poems ready to perform. The winner at the end of the night will earn $150. Sign up soon, because space is very limited. At various times throughout the day, Rattle editor Timothy Green will be offering one-on-one publishing advice to paid festival registrants. Sign up for a 10-minute slot, and have any questions answered about your work, or publishing in general. Bring writing samples, or anything else you want to ask about, given the time constraints. Space is limited, so sign up when you check in at Camp Mariastella on Saturday. 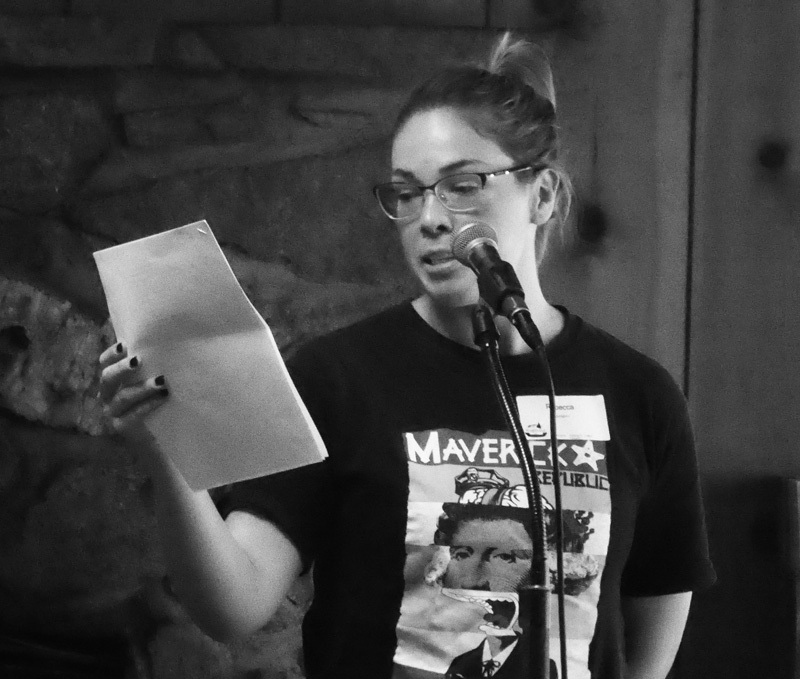 Normally held at the Flintridge Bookstore in La Canada every second Sunday, the Rattle Reading Series moves to Wrightwood for the festival, featuring two poets from Rattle‘s summer issue, plus special guest appearances by festival workshop leaders. Ron Koertge is the author of many celebrated novels, including Stoner & Spaz, Strays, and The Brimstone Journals, all American Library Association Best Books for Young Adults; Shakespeare Bats Cleanup, and American Library Association Top Ten Sports Books for Youth Selection; and The Arizona Kid, an American Library Association pick for “one of the ten funniest books of the year.” A two-time winner of the PEN Literary Award for Children’s Literature, Koertge is also author of several books of poetry for adults, most recently The Ogre’s Wife. He lives in South Pasadena, California. Let your creative juices flow! By learning basic drawing & watercolor techniques and including a glass of wine (optional), you will have a finished piece of art at the end of this two-hour session! The festival will close with an open mic at the Village Grind coffee shop. Hosted by Timothy Green and Gregory Jones, everyone is welcome to take a turn on stage to share their stories, poems, or songs. Before you leave, don’t forget to drop off your entry for our haiku contest! Sponsored by Whole Life Soaps, the winning haiku poet will receive $50 and have their haiku printed on a specialty soap that will be available at the soap store for the rest of the year. The winner will also receive a few complimentary bars once they’re ready. The contest is free to enter, and there are no rules, other than that the haiku should relate to either nature or soap. Drop of your entry at any of our events, or at Whole Life Soaps during business ours that weekend. Workshops are split into two 2-hour sessions, with each workshop offered in both sessions, so that all participants may register for any two of their choice. The workshops are positive and generative—our goal is to inspire you to write and share your stories, whether as poetry, fiction, or memoir. Because this is a small retreat, the breakout groups will be even smaller, with only a handful of participants in each, allowing for a great deal of one-on-one interaction. Because nonfiction writers are working with factual stories, sometimes we are focused too keenly on the series of events about which we are writing rather than what motivates and us and others in our lives. Led by Angela Cardinale, this workshop will help writers apply the fiction technique of characterization and character-driven writing to real-life experiences. This will help writers discover new points of narrative interest and conflict, or deepen existing ones. 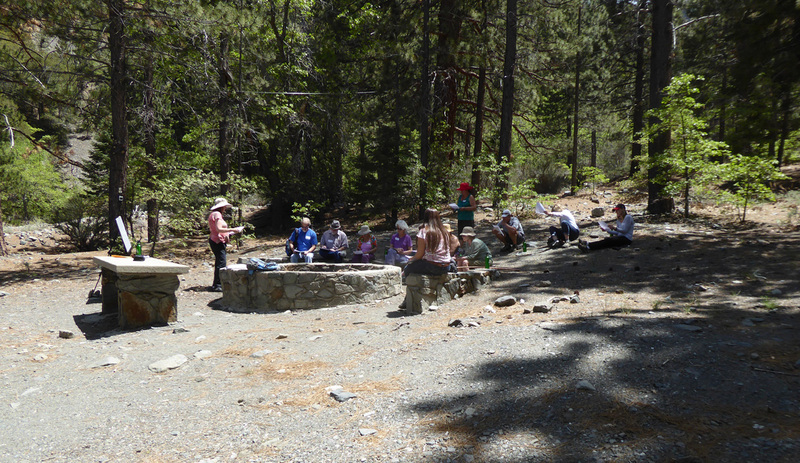 Former Yosemite park ranger and Wrightwood resident Joan McCandless will lead a beginner-level hike through the trails of the 200-acre Camp Mariastella property. 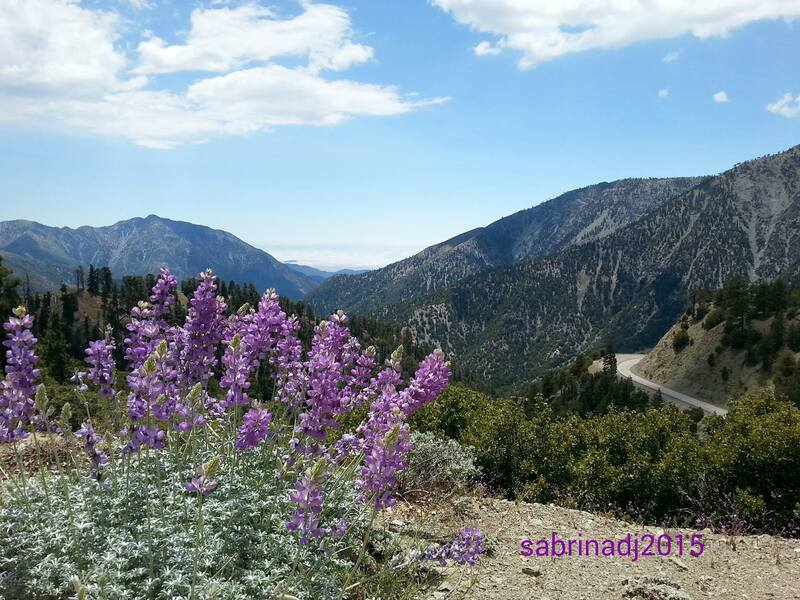 Learn about the the flora and fauna of the San Gabriel Mountains and breathe-in the pine-scented air. Deborah P Kolodji, a renowned haiku poet and a member of the Haiku Society of America & the California State Poetry Society, will co-lead this hike and haiku workshop. 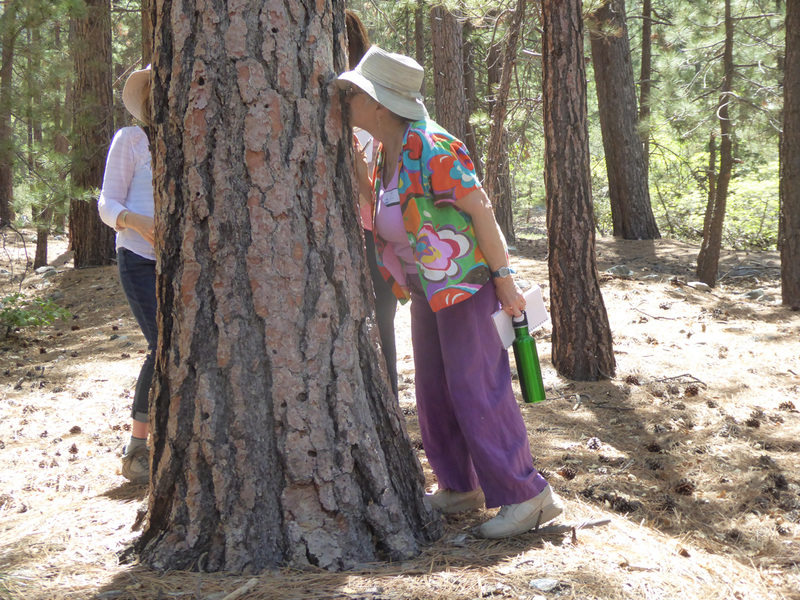 During the walk in the woods, participants will use all the senses to write haiku. Bring a set of sturdy shoes, a notebook, and something to write with. Mining the Mind – SOLD OUT! There’s nothing more paralyzing for a writer than the empty page. 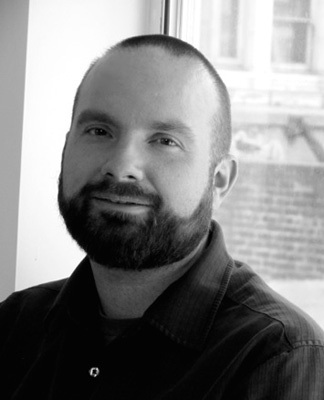 Join poet and editor Timothy Green for a workshop on carving meaning out of all that white space. Green has spent more than a decade as editor of one of the largest literary magazines in the country, and published over a hundred poems and short stories. He’ll share his technique for writing virtually all of them, a form of associative writing that turns random prompts into self-discovery by listening to your own deep voice. Participants will write, revise, and share a poem during the workshop. Bring a notebook and a pen, and never suffer writer’s block again. Nature as Metaphor – SOLD OUT! Nature is a source of inspiration for many writers. How is nature used as a metaphor to express human desires and experience? In this workshop with Teresa Mei Chuc, participants will look at examples of poetry that use nature as a metaphor to express our humanity in microcosm or macrocosm, on a cellular level or on a universal level or somewhere in between. What do we see in ourselves when we look at nature, a dandelion, a mushroom, an oak tree…the mycelium network? Even nature’s colors invoke in us deep emotions. How is the natural consciousness of the Earth connected to our human consciousness? Attendees will write their own poems inspired by the surrounding nature as a metaphor for some aspect of human life and experience, personal or universal. Publishing your story is only half the battle. Authorship in the 21st century is part performance—and the performance aspect is something authors tend to ignore. From bookstore readings, to radio appearances, to literary festivals, one of your jobs as a writer is to engage a live audience. 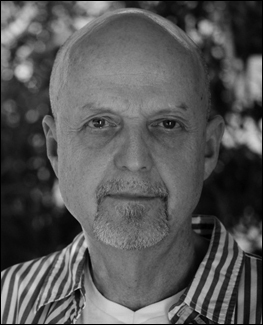 Wrightwoodian Ronald Frank, a professionally trained Shakespearean method actor, will teach you how to make the most of your own voice as a physical instrument—how to project, engage, enunciate, and, most importantly, how to bring an authentic emotional presentation to the stage. Bring a few of your own writing samples that you would like to perform. This is a hands-on workshop in which participants produce one to four songs (depending on group size) by writing ideas and experiencing a suggested corresponding musical arrangement (chords, melody, rhythm and tempo). The workshop, led by Gregory Jones, approaches the subject of songwriting via the categories of Clarity and Sophistication, suggesting that successful songwriting requires communicating a clear idea while being equally entertaining. In large group, using a simplified SYMLOG type graphic, Jones will assign four types of lyric to four types of chords, tempo, styles of music, etc. In small groups, participants will collaborate one verse which is then matched to its musical counterpart. This back and forth process continues and concludes with a performance of each song. Whether a short-story or a novel, a reader will continue to turn the pages if there is conflict. Conflict, when executed correctly, drives a story forward; conflict is plot. A reader cannot help but to invest in the story because s/he is drawn to the what-if. Readers will put down their phones, forget their responsibilities, and ignore their lives, if and only if, they absolutely have to find out what will happen. Led by Victoria Barras Tulacro, a life-long resident of Wrightwood and professor of English at Chaffey College, this fiction workshop will look at how to create conflict, so that our stories can move forward with purpose and urgency. Workshop participants will be asked to create, write, and share during the workshop with the goal of gaining a better understanding of how to create plot—or rather, put more simply, conflict. 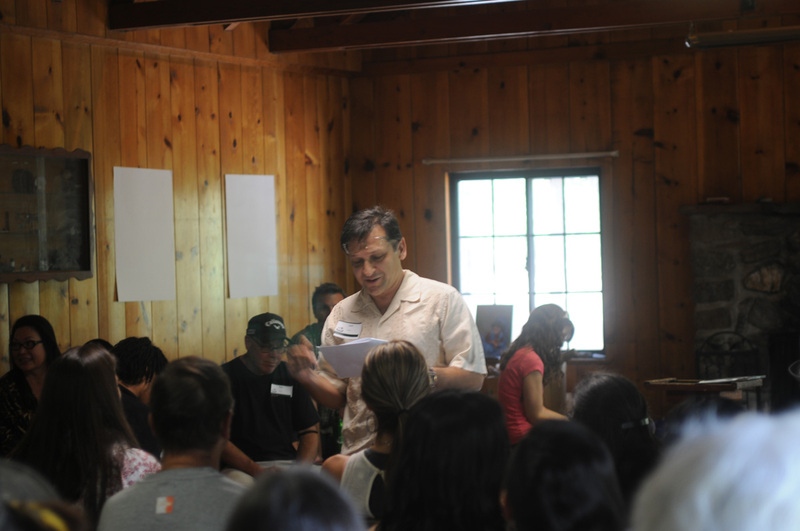 The first annual Wrightwood Literary Festival took place on May 30th, 2015, with presentations in the morning and workshops in the afternoon at Camp Mariastella. For more on the camp, click here. Juan Delgado is currently the Inlandia Literary Laureate (2014-2016 term). A professor of English, and director of the M.F.A. program in Creative Writing at California State University, San Bernardino (CSUSB). Delgado was named outstanding Professor at CSUSB in May, 2013. His book, Vital Signs, (2013) with Thomas McGovern, photographer, walks the reader through San Bernardino, California, celebrating the stories and vernacular art of working class Latino Communities. It received an American Book Award on October 26, 2014. 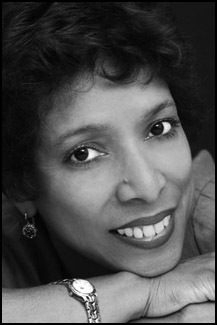 Delgado’s previous books of poetry include: El Campo: Poems and Paintings (1998), A Rush of Hands (2003), and Green Web: Poems (University of Georgia Press, 1994) which received the Contemporary Poetry Series Award. He holds an M.F.A. from the University of California at Irvine, where he was also a Regent’s Fellow. As keynote speaker, Juan spoke about the aesthetic of walking and walking in nature. Walking, he says, is the first way we learn to read. Footprints, for example, are the first signs we learn to read. Juan discussed this, then also read some poems around this topic, and gave the participants some interactive prompts to help prime them for the day. Wan Chang-Hamachi is a scholartist with research interests in human, organization, and community development using the artistry of painting as part or her methodology of knowledge creation. She is currently creating a non-profit organization with the mission to promote education about alternative, complementary, and natural ways of healing. 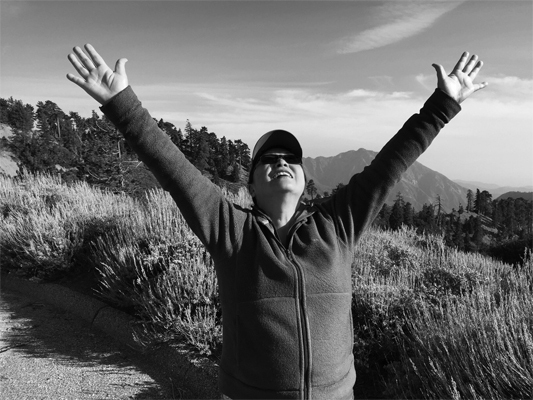 A former college professor, corporate trainer, and executive consultant, Wan is integrating her lived experience in the formation of a philosophy of life that supports well being of the individual and community to contribute to healthy social change. Gayle Dowling, a singer, songwriter, and guitarist, has been entertaining audiences since her teens. Gayle has been writing songs for several years reflect her passion for life. Her subjects range from love to war. Gayle started as a solo performer and later formed her own band, Gayle and Company, which includes her two children Adam and Brittan, who are also featured on the cover of her newest CD, Uncovered. She has released several CDs which have received airplay on the nationally syndicated country station KFRG and Southern California’s public radio station KPFK. She recently appeared as a guest performer on NPR’s KEDT “Some Call It Folk” with radio host James Davis, which can be heard at her website. 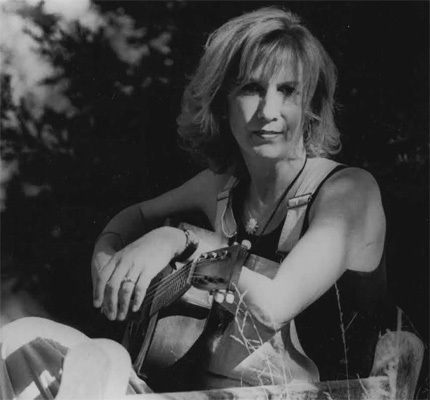 She has performed her original and acoustic folk songs from the ’50s to the present at such venues as L.A.’s Mark Taper Forum, Arizona’s Wickenburg Bluegrass Festival, Riverside’s Orange Blossom Festival, and Oregon’s Sister’s Folk Festival, as well as California wineries, restaurants and coffee houses. Gayle lives in Wrightwood, California with her husband Tommy who is also her recording engineer. They have a home recording studio and are currently working on their next CD. Gayle presented a musical storytelling interlude during the morning session, and coordinated music for the rest of the festival. Lora Steinmann was introduced to Wrightwood as a young child. Her parents were “weekenders,” with a cabin on Helen Street. 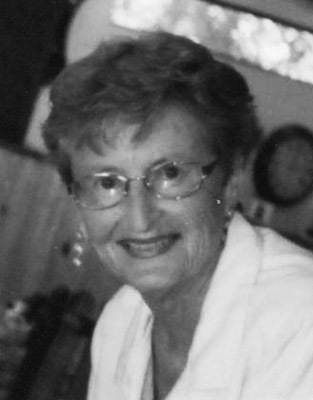 She moved to Wrightwood with her husband Heinz when she was 20, and, except for brief stints in the Army and in the San Jaoquin Valley, has lived in town ever since, raising 11 children. She founded the Victor Valley Symphony Association, and was president and a director for the Snowline Players theater troupe for 15 years. Her company, Desmont Properties, is a general firm established in 1986. She draws, builds, and remodels houses in the area. Lora opened the day with a brief retrospective on the Wrightwood community. Afternoon workshops were split into two 90-minute sessions, with each workshop offered in both sessions, so that all participants could register for any two of their choice. Former Yosemite park ranger and Wrightwood resident Joan McCandless led a beginner-level hike through the trails of the 200-acre Camp Mariastella property. 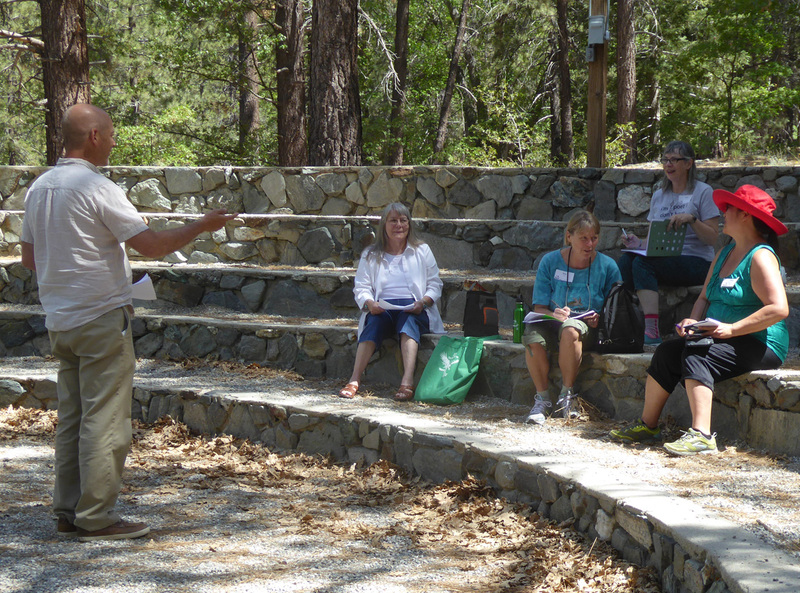 Participants learned about the the flora and fauna of the San Gabriel Mountains and breathe-in the pine-scented air. Deborah P Kolodji, a renowned haiku poet and a member of the Haiku Society of America & the California State Poetry Society, co-led this hike and haiku workshop. During the walk in the woods, participants used all the senses to write haiku, bringing a set of sturdy shoes, a notebook, and something to write with. This workshop also took place outside, among the trees, alongside of rocks and other nature-like things. 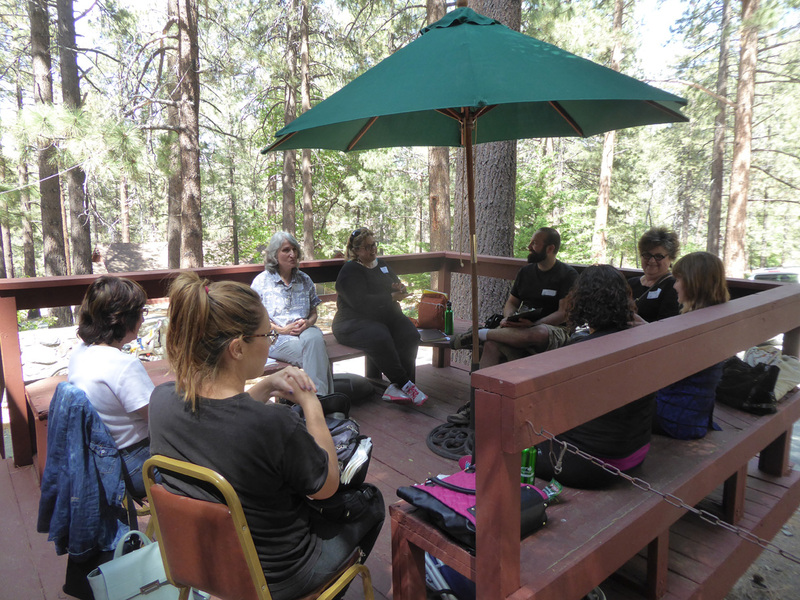 Led by Victoria Barras Tulacro, a life-long resident of Wrightwood and professor of English at Chaffey College, writers engaged in discussion about elements of story, with specialized focus on setting and how a setting (like a forest) can contribute to plot. Writers were also asked to write in response to the setting. The goal of this workshop was to engage the senses while employing the craft of story. Journey into the visual art of memoir under the embrace of towering ancient pines. This hands-on, creative writing workshop, facilitated by Dr. MJ (Joan) Koerper, began by exploring how to translate memory into storytelling, and frame a well-crafted memoir. Where do you start? When do you end? What common pitfalls do you need to avoid? The focal point of the on-site writing, and mutual sharing, was to assist you to weave narratives. Using the literary elements of creative nonfiction, including physical description, history, memory, and musing, the transformative power, or heart, of memoir emerges. Participants brought paper and writing utensils. MJ also provided a document of reading suggestions to pique their interest. Writing your story is only half the battle—if you want to share your voice and vision with the rest of the world, you need to engage and entertain an audience of strangers. Poet and editor Timothy Green led a workshop on honing craft in ways that will catch an editor’s (and so an audience’s) eye. Green has spent more than a decade as editor of one of the largest and most prestigious literary magazines in the country. He shared insights into how editors and audiences respond to both poetry and prose, and valuable tips on pursuing publication. Participants brought up to 2,000 words of prose or three poems, and prepared to make them shine. Publishing your story, for that matter, is only half the battle. Authorship in the 21st century is part performance—and the performance aspect is something authors tend to ignore. From bookstore readings, to radio appearances, to literary festivals, one of your jobs as a writer is to engage a live audience. Wrightwoodian Ronald Frank, a professionally trained Shakespearean method actor, taught participants how to make the most of their own voices as a physical instrument—how to project, engage, enunciate, and, most importantly, how to bring an authentic emotional presentation to the stage. Participants brought a few of their own writing samples to perform.